If you ever followed me on my other blog, Good Crafternoon, you probably know about my love/hate relationship with knitting. I love to knit and have been doing so for more than twenty years, but my arms can’t take it anymore. 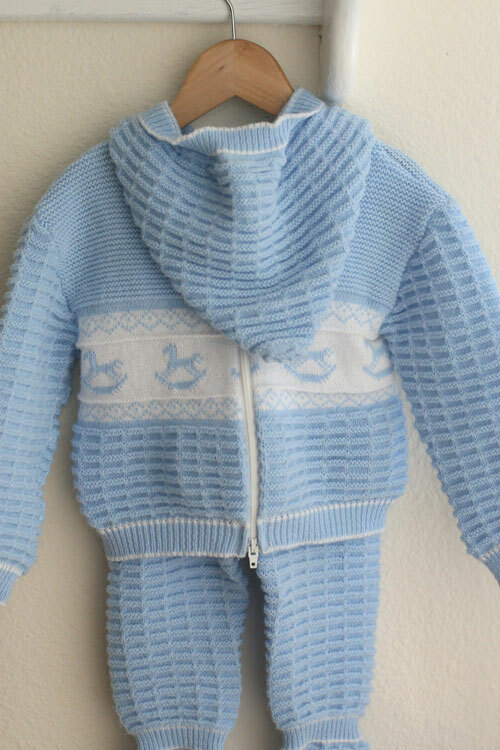 I found this out just when I became pregnant which was a real heart-breaker since I dreamed about the many darling sweaters I would knit my little baby. So, what’s a knitaholic to do when pregnant for the first time and not allowed to knit? Ebay used to be loaded with these one of a kind knitted goodies and they are usually in great shape and so inexpensive for the quality and unique style. Fortunately instead of slogging it out on eBay, you can save yourself some sanity and check out one of my favorite Etsy shops–babyhank, run by the very clever Liz Stanley from say YES! to Hoboken (a wonderful and highly addicted blog BTW) with incredibly well priced and lovingly curated pieces of children’s vintage clothing. Including these gorgeous sweaters. 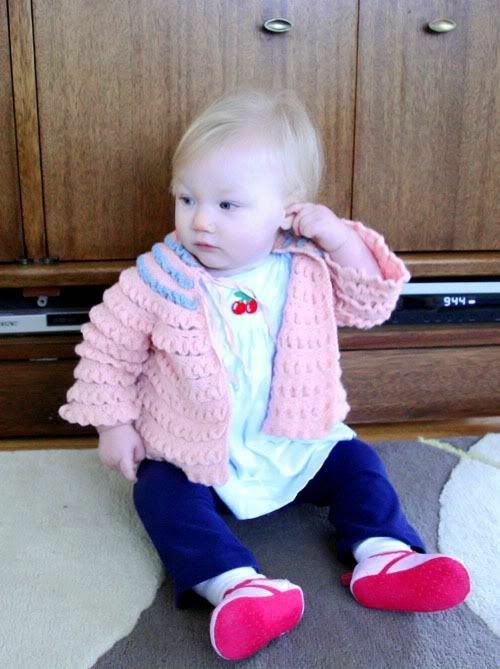 Alix featured her yesterday with this button cute sneakers. I’m in love with this one. The pocket detail is just amazing, don’t you think? 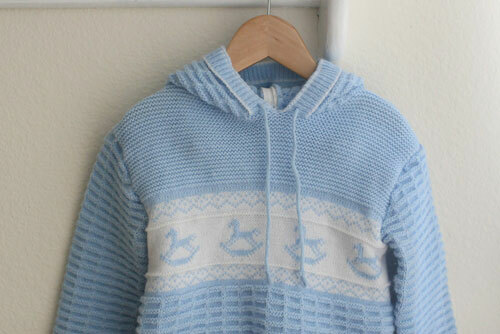 OH and look at this white wee baby sweater with the blue trimming! 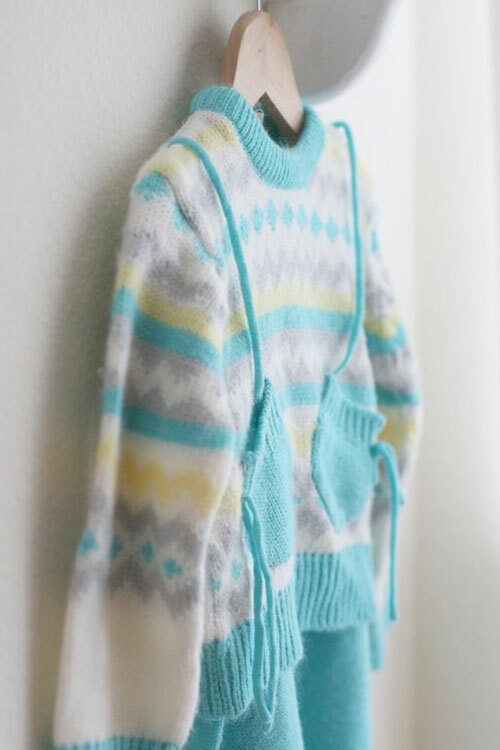 But check out this rocking horse sweater set! The detail on those pants along is so divine! And how crazy clever is that–a zipper in the back. AND a hood! 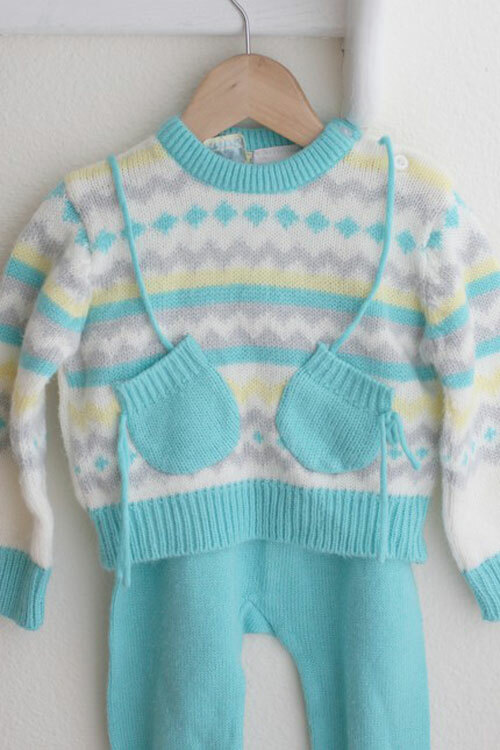 That will keep the sweater on–pure vintage genius! You should stroll on over to babyhank on Etsy and definitely drop by Say Yes to Hoboken! We heart Liz and we think you will too! Did you know she’s a finalist in the Handmade Olympics? Mmmhhmm…that’s how snazzy she is. 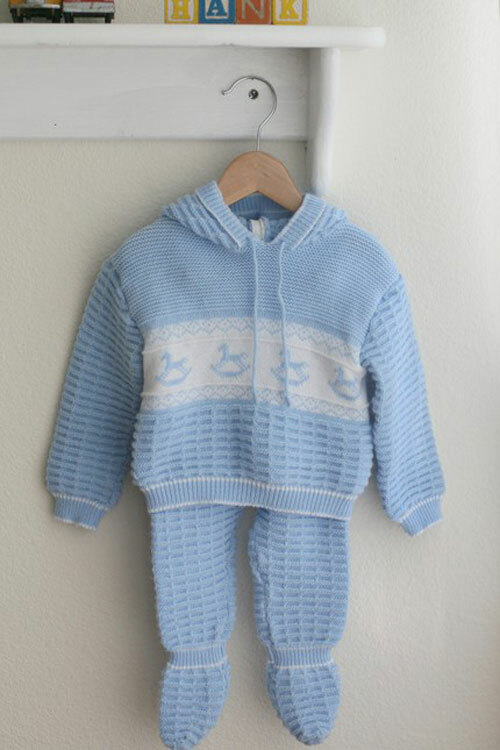 Posted in Baby Kiddo, Kiddo Style: Vintage. 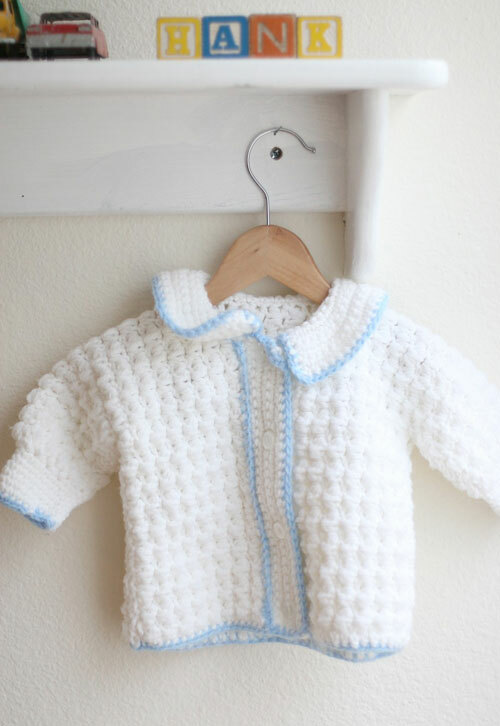 Tagged with Good Crafternoon, Liz Stanley, Say Yes to Baby Hank, vintage knitted sweaters. OMG I LOVE THOSE! I LOVE THE PEACH EVEN MORE IN IT! !Do they have ANY In my size!?!?!?!? 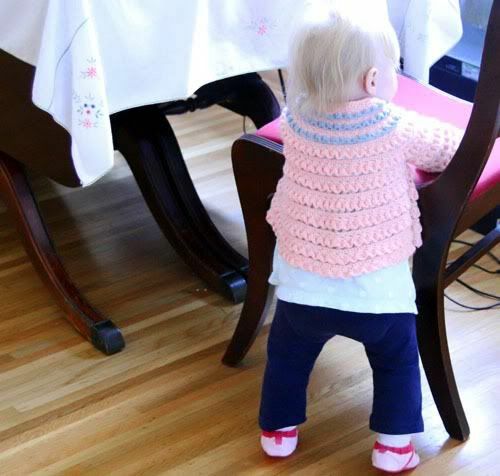 Love that little sweater on that lovely little girl! And those matching–or nearly matching–shoes! They’re worth a piece on their own.